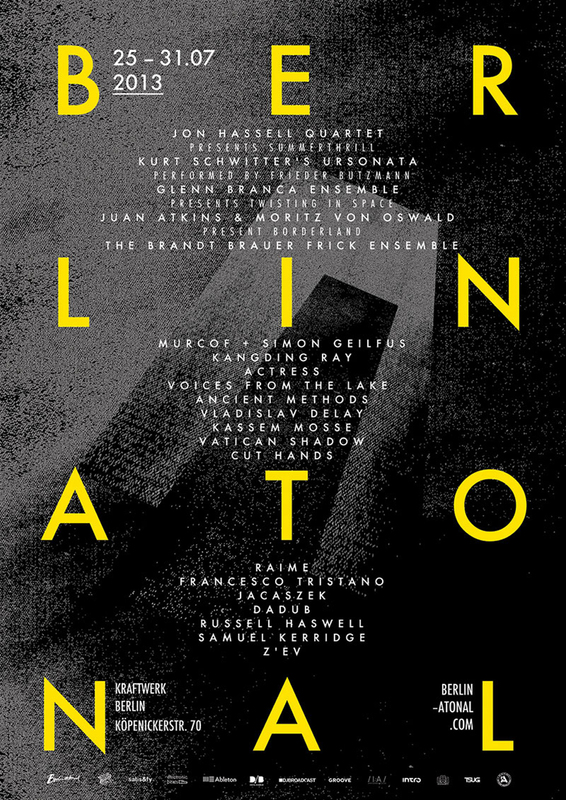 The legendary Berlin Atonal festival returns to the capital of innovative music after a twenty-three year hiatus. It’s new home is a long-abandoned heating plant in Berlin Mitte, a mazy industrial complex that will host 6 days of world-class musical events and large scale audio-visual installations as well as streetfood and a full catalogue of seminars, lectures, master-classes and screenings. The theme for the first edition of the relaunched festival is « Forming Space », paying homage not only to the darkly majestic architecture of Atonal’s singular new home and its public re-emergence after years of abandonment, but also to that basic and vital impulse of all art, namely, the desire to give form to the void. NK presents a full dayprogram on wednesday July 31th. Part of this program is a performance with my Lumisonic Rotera at 19hr.